The countdown is on again to the Eurovision Song Contest, with touches down in Sweden in little more than four weeks. 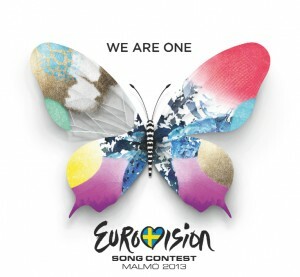 Entrants from 39 countries across the continent will be in fierce competition for the most coveted yearly prize in music – the Eurovision Song Contest trophy. In post No.11 for this year’s series, we look at Slovenia’s entry to see if it has what it takes to walk away the ultimate victor. Slovenia has this year turned its head towards expat US songstress Hannah Mancini to represent them at the highest level. The Los Angeles-born singer, who now resides in Slovenia, has a varied musical past, achieving success Stateside before moving to Europe where she attempted to qualify for the Eurovision Song Contest two years ago. Though she was unsuccessful on that occasion, in 2013 she’s on her way to Malmö with the song ‘Straight Into Love’, which she co-penned. We’re especially loving the punchy electro opening to this otherwise relatively straightforward dance/pop tune, which in visual form features more than a bit of man candy to hopefully get the punters on side.